Little Springs was just a small college town, the kind of town where everyone knew everyone and violent crime was nonexistent—until a series of rapes and murders at the college. After an outbreak of fear and hysteria, only the arrest and conviction of Leo Spradlin, the "Co-Ed Killer," could end the terror. 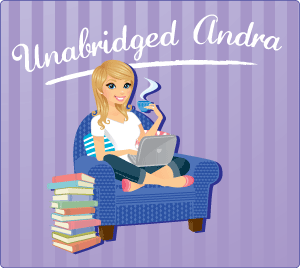 Andra, thanks so much for having me today and featuring my latest mystery. As a suspense writer, I’m thrilled by the popularity of crime shows on TV, at the movies, and in books. Each week, there are new crimes to solve and new murderers to catch on NCIS or Criminal Intent or CSI some other show. Same with movies and fiction. As viewer, we love it—although we’ve seen it all before. Serial killers, however, are different. Somehow, they are sicker, more terrifying. They are true sociopaths in the worst way. We are horrified by them and yet…fascinated at the same time. So we watch and we read. 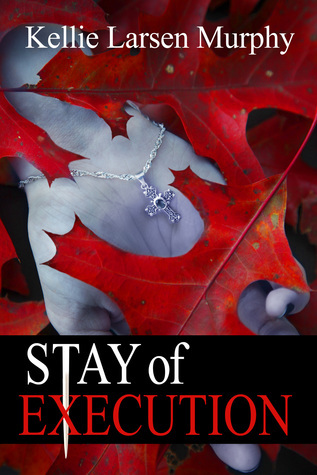 Because my latest novel, STAY OF EXECUTION, features a serial killer, it got me to thinking about the way serial killers resonate and stick in your memory – whether real or fictional. For me, when it comes to the film variety, none is more memorable than Hannibal Lecter. (Admit it, when you hear the name, don’t you picture him with the mask? Still gives me chills!) Certainly, as a serial killer, his methods rank him as one of the sickest, and yet, Anthony Hopkins portrayal made him one of the most interesting characters (good or bad) of all time. He exudes a calm sophistication and an intelligence that impresses—all in direct contrast to the sickness in his soul. The recent TV series, Hannibal, is also good, but…I have to admit, while I can watch many movies more than once, Silence of the Lambs is so intense for me, it’s not one of them. If possible, it’s just too good. Another movie featuring an unforgettable serial killer is Se7en. Kevin Spacey (also an amazing actor) is John Doe, a man offended by those who commit any of the seven deadly sins. As a killer, he is methodical, patient, and of course, twisted. Yet, in his sickness, he feels justified. His victims deserved their punishments. Even more unbalanced might be one of the first onscreen serial killers of all time, Norman Bates in Psycho. What makes Norman different is that his mental illness splits his personality and as his alternate personality, his mother, he is capable of killing. Truly chilling! There are so many others, Annie Wilkes (Misery), Tom Ripley (The Talented Mr. Ripley), and several from the slasher movies, but none can top those three for me. It’s on TV, however, where serial killers have recently made a splash. Dexter Morgan of Dex has to take top honors, if only because as viewers, a part of us empathizes with his reasons for committing his murders. He diligently gathers evidence of their crimes before drugging them, wrapping them in plastic, and killing them. Network TV also features a slew of serial killers ranging from Red John on The Mentalist, Hannibal, Joe Carroll on The Following, several on CSI, and more. I can’t say why we are so compelled to watch these characters (maybe I don’t really want to know), but the popularity of these shows convinces me we do. Do you have a serial killer you love to hate? Cancini squinted in the sun, shading his eyes with his hand, the muscles in his neck and shoulders tightening. He scanned the stunned faces in the crowd, one hand on the pistol hidden under his suit jacket. No one moved. No one spoke. They waited for Spradlin to explain, their anger turning to disbelief and curiosity. Kellie Larsen Murphy is the author of A Guilty Mind and Stay of Execution, the first two books in the Detective Cancini Mystery series. She has written for several mid-Atlantic magazines and resides in Richmond, Virginia, with her husband, four children, and two very large, very hairy dogs.  rafflecopter during the tour, and a $10 Amazon/BN GC to a randomly drawn host. I find the cover really creepy which is perfect for this title & story. Thanks, Mary Preston. I love the cover, too! thx u for hosting ! I like the excerpt, thank you. No, Thank you Kellie! What have you been up to today?? The cover is quite eye catching plus the except was very intriguing. So glad you like it, John. Thanks for stopping by! Interesting excerpt :) I like the mystery in the cover as well. Thanks, Lori. Be sure to enter the giveaway! Natalie, in my free time I'm very busy with my four kids. Thanks so much for asking and visiting! Simon, thanks for stopping by. Don't forget to enter the giveaway! This sounds like a fascinating story. I really enjoyed the excerpt. Thanks, MomJane. Have a great day! I enjoyed everything about the post today. I am looking forward to reading more! Sounds like a really thrilling book full of suspense and I am looking forward to reading it, thanks for sharing it! Sounds intense. The cover definitely highlights that. I liked reading about the book. I sounds interesting for sure! Thanks for the interview. This sounds like a great book. I love the cover as well ! A very spooky cover, well done ! Sounds wonderful to me (except for the cleaning up, of course! ).